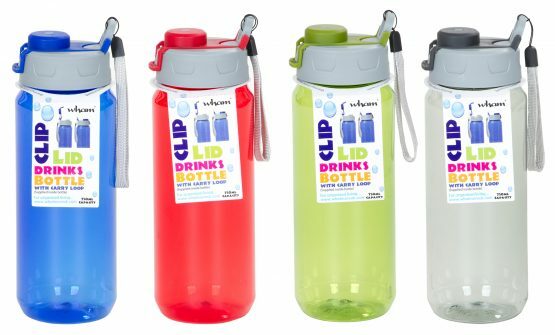 750ml capacity clip lid TritanTM drinks bottle with carry loop. Ideal for sports, work, picnics and school. BPA free. Not suitable for children under 3 years. Not microwave or dishwasher safe. Not suitable for hot liquids.